I don’t know about you guys, but when I was in grade 11, I spent most of my spare time sleeping or sneaking out. 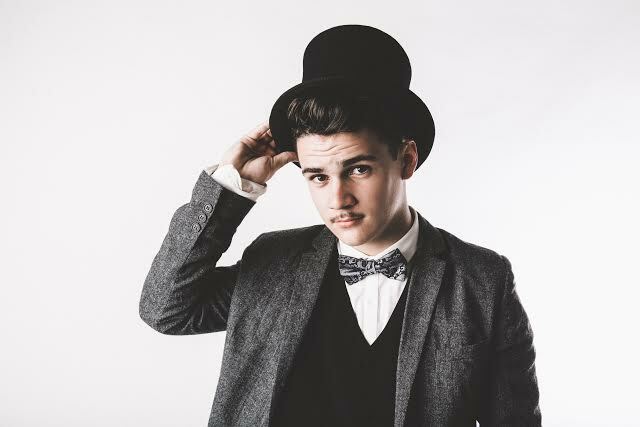 Jacob Grant, also known as Just A Gent, does things a bit differently. The 17-year-old Newcastle student has just wound up a national club tour, after receiving widespread support from international names like Flume and Diplo, and was even played on BBC’s 1Xtra and Pete Tong’s Evolution Radio. Now, with his internet-breaking remixes and released music through DIE HIGH records, it seems there really is no stopping this guy! We spoke with him to find out a little bit more about this EDM wunderkind, how he’s handling his first tour, and what the hell ‘Lovetrap’ is. First of all, congratulations! I’m interested in how you are handling your success? Are you constantly pinching yourself to see if you’re dreaming? Thank you, thank you! Honestly, I have been doing exactly that, it is insane to say the least, how crazy things have gotten and I am just so stoked to be able to live this dream. My biggest influences come from Justice, Seven Lions, Arty, M83 and then the whole 80’s era e.g. soft cell etc. Can you elaborate a bit on “Lovetrap”? So Lovetrap is basically a more upbeat classification of “Chill trap”. Just basically involving huge synths, saws & hip hop drums. You are quite the fan of a remix – what inspires you to select and remix the songs you do? That I am. Always a good outstanding vocal is what I look for to remix. I then generally only use the vocal from the original track and maybe 1 other element and create a whole new atmosphere around it. Who would you love to see remix some of your own songs? Anybody that could really bring a new flavour to it. I’m a person who prefers remixes to be like a completely new take on the song rather than just a new drum beat. How does a 17 year old cope with releasing music through Die High? Haha, the guys over at Die High are super awesome, plus half their roster is 16/17 year olds so I guess I fit in really well. Does your recent, and huge, success make it easier or harder to release new material? It makes it so much easier to make more material, but so hard to release it, if that makes sense. Just working out how often to release a new track, or who to release it with now – it just takes a lot longer than it used to than just chucking the track online willy nilly. How have your school peers reacted to your success? I guess a national tour on the Australian Club Circuit isn’t everyone’s average weekend plans? My school peers to this day don’t understand what’s going on other than like 3 of my close friends and even they just shrug it off, just saying, “Yeah, cool.” I think once they turn 18 and get to start clubbing, and are introduced to the scene that’s when they will realise, woah, so this is what he does! I read that you started mixing as young as 8, on the same Nutri Grain software (the same as how Flume started off)! Has electronic music always been a thing for you then? Sure did! At the beginning it wasn’t electronic, it was more Hip Hop / Rap for the first few years, before I discovered House music when I was 12. But since then, electronic music has been my life. As someone who is just entering the industry, and is so young, I’m interested in your perspective on the current state of EDM, and specifically Australian EDM? Where do you see yourself in the current scene? It is honestly awesome to be entering the Australian EDM scene right now because it is just taking off. We are becoming a huge international export with huge acts like What So Not, Flume, Wave Racer & Motez etc. and finally everyone looks here for the freshest new tunes. On a world perspective, EDM has never been bigger. Right now I’m like an ant in terms of the scene, especially Australia. 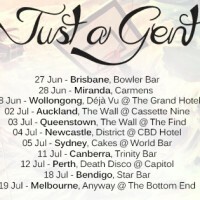 I am really going to focus on building Just A Gent in Australia before really going hard into the States & Europe. Are you interested in collaborations? Who would you love to work with? I love collaborations; I actually really want to collaborate with Perth’s own SLUMBERJACK. We have been chatting about it for almost 12 months, but never put it to practice but them boys are killing it right now. You’re currently on tour, what are you looking forward to most? Just being able to play the music that I love, for a group of people who want to hear it. It is just an amazing feeling. How do you work on your live show, considering you probably haven’t seen any club shows in your time? Is your live show something you consider when creating your music? Definitely, I try to make most of my music as live friendly as I possibly can, I haven’t seen a great deal of live music in my time but from what I have seen I have taken it all into account and am trying to focus much more on the performance and surprise elements of my live set rather than just a general DJ mix. What is your creative process? What inspires you to make a particular track? I have some weird places like the shower & bathroom when my head is super clear and I just get amazing melody ideas and just grab out my phone and hum away. That’s how most of my original track ideas come about. But remixes, I just get inspired by the original tune and whatever else I was listening to that day! Expect a pretty next gen EP later this year and a bunch of remixes in between!